Each Lughnasadh, I strive to harvest some of the wild grain from the hedges. Not only is harvesting grain traditional at this time of year, but I save it so my protogrove has something with which to weave Brighid crosses during Imbolc, six months later. With the amount of snow we get in January and February, we won’t have any access to the nice green reeds traditionally used in Ireland! So preparing for Imbolc is part of my Lughnasadh. It makes sense – we harvest so that we are prepared for the coming months, after all! Last weekend, we celebrated Lughnasadh with friends from Northern Rivers Protogrove and Muin Mound Grove at the latter’s annual Lugh Games. There was friendly competition, feasting, swimming, singing around a fire, and a lovely ritual. My husband was crowned the champion of the games! It was a wonderful time. 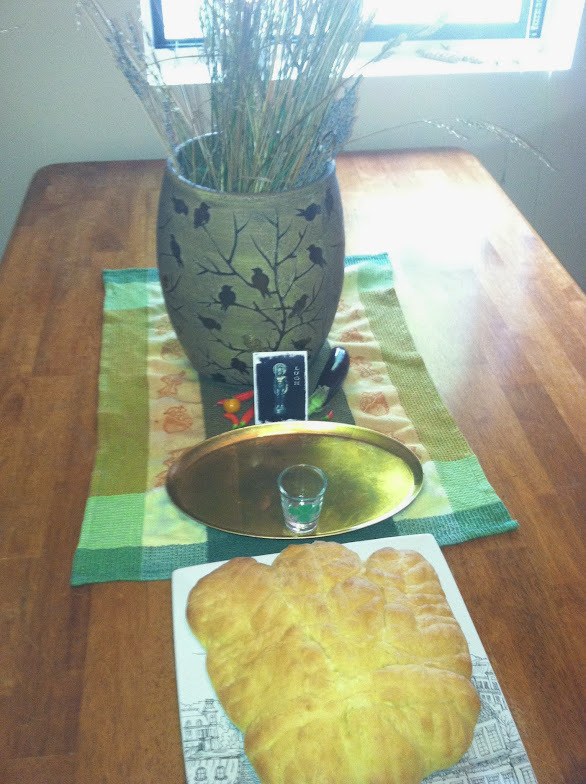 Today, I celebrated Lughnasadh with my family. Having already participated in a large, formal ritual, today was about our household customs. I hope my readers had a blessed Lughnasadh. May the season be fruitful for everyone! 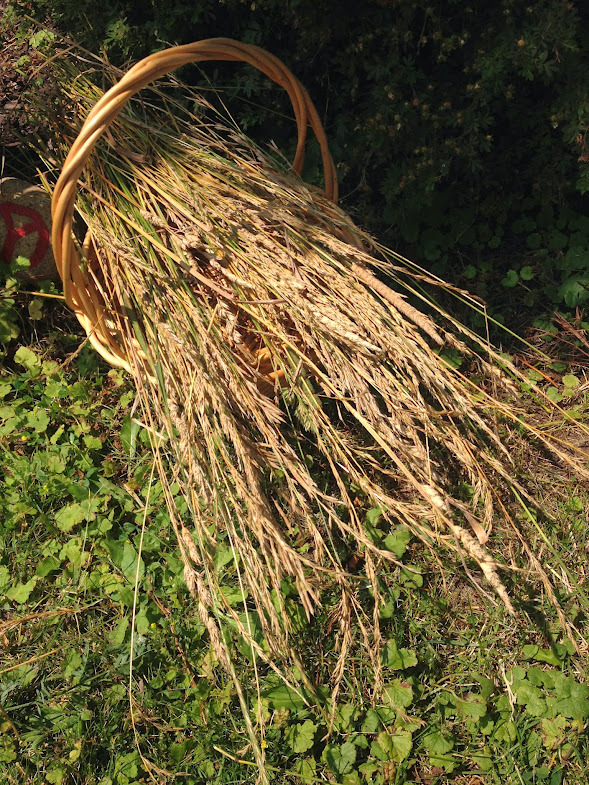 One of our traditions is to gather wild grass gone to seed on Lughnasadh. It’s the closest we have to wheat near our home and it acts as a centerpiece on our dinner table. Come Imbolc, our Druid group will use the grass to make Brighid crosses. Gathering it was a wonderful excuse to spend some time outside on this lovely Lughnasadh day! Photo by Weretoad, 2014. 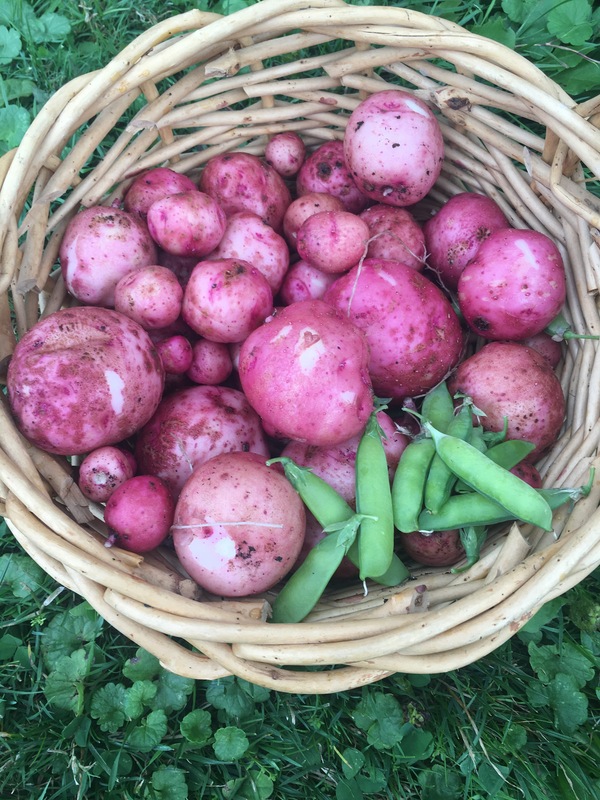 Although it’s a small harvest, I’m proud of it!, especially the potatoes. I only dug around a corner in one of my potato bins and was pleasantly surprised! Huzzah for harvest! Photo by Grey Catsidhe, 2014. We set our table for a homemade dinner of salad, roasted veggies, seitan, corn on the cob, red wine, and my first attempt at “wheat sheaf” bread. Everything was delicious, and much of it came from local farms or our own patio garden! We made offerings to Lugh and Tailtiu. After dinner, I used some of the cornhusks to make corn dollies. I can’t wait to share that tradition with Bee. Photo by Grey Catsidhe, 2014. Rowan berries ritual strung and ready to dry for use in magical talismans and as ritual offerings. there is work then for everyone before the very short days. stags run from the knolls at the belling of the deer herd. stubble around the wheatfields over the expanse of brown earth. Hazelnuts of good crop fall from the huge old trees on dykes. September is upon us, thus the high harvest is in full swing. The farmers’ markets are piled with beets, corn, and squash. Yesterday, a friend gifted me with a couple butternut squashes. The day before that, my sister and brother-in-law gave me a pumpkin from their garden. A pumpkin, bright orange and ready for pie! The trees are starting to drip with their own harvest – apples, acorns, and rowan berries. While in Alexandria Bay a few days ago, I gave offerings in exchange for some of the latter to dry for future workings. 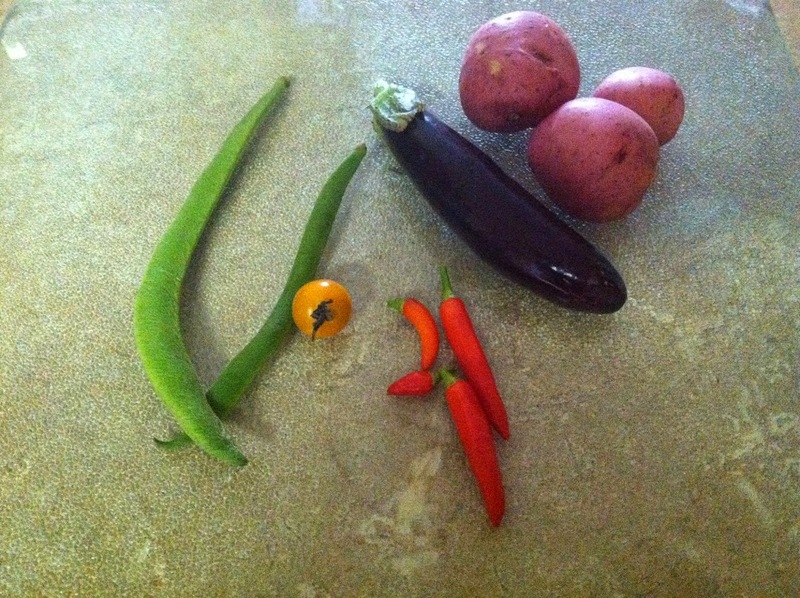 My own garden continues to produce a small bounty. In addition to all the lovely plants photographed above, I have some fall crops emerging from the soil. I hope I don’t jinx it, but I finally seem to have a good group of carrots growing. There are more radishes on the way. I’m not sure about the turnips I planted. Something ate most of them. I’m not sure if it’s too late to try again this year or not… However, each time I try and fail, I learn something new. I feel better prepared for next year. That is a good harvest in itself! Next year! I’m already excitedly planning for it. There’s a certain peace and wisdom in living fully in the moment, but when you garden, foresight is very important. This morning I gathered the dried seeds from a yellow onion plant and some dill. I’ve been keeping note of what I definitely want to plant again next year and what I don’t think is worth it. Alibi cucumbers – These guys are perfect for containers. In the right container, they’re very prolific. I grew enough to make a small batch of pickles and have continued to grow enough for salads all summer long. Mohawk Peppers – Although they didn’t mature until mid to late July, these guys were worth the wait. I love the orange color and the flavor is mildly sweet. Wonderful in a stir fry, chili, or salad. I had a very high success rate with these guys. 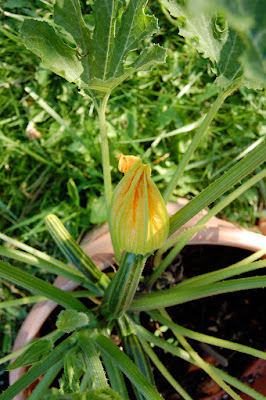 Green Tiger Zucchini – Very successful sprouting. Did great in larger containers with beautiful, big leaves and bright striped fruits. Totem tomatoes – A medium-sized tomato photographed above. These guys flourished in the large, raised-bed style container. Great for salads. Radishes – I can’t remember the variety I planted this year but I finally understand these plants. I would like to try other varieties next year – possibly the heirloom cherry belle. Snow peas – Once I figured out how these guys worked, I loved them. Although it took awhile to get actual pods, they are delicious! I love to eat them raw or steam them. Basil – I understand them better and now know how to harvest them so they yield higher harvests. Dill – Finally used them in pickling so they were worth it. Igloo Cauliflower – Out of all the seeds I planted, only two plants grew enough to escape the dangers posed by standard pests. One is still pretty small and the other seems to be producing a head but it’s TINY. A larger container may be needed. Otherwise the success rate this first time was poor and the growth rate is very slow. White finger eggplants – This was another first attempt. Last year I grew Ophelia eggplants, another for containers, and had a much higher success. I really want to try the White fingers again, but none of the seedlings made it this year and I felt it was too late to try until next spring. Tan tan lettuce – Slow growing but tasty once it matures. Bush delicata squash – This is in the maybe because none have matured yet. It’s a winter variety. I also only have two plants out of the handful of seeds I planted. We shall see. Oak Leaf Lettuce – I didn’t have as much luck with this variety compared to last year. I’m willing to give it another try but if it isn’t as productive again I’m done. Purple top Turnips – As explained above, I’m not having a good sprout rate. Those that do tend to become food for pests. Green bush beans – Although easy to grow, I never harvest more than a handful at a time. This seems so pointless… Good for a snack but I never get the bounty my parents did for dinner sides. I need to rethink my beans. May move to a pole variety. Tumbling Tom Red Cherry Tomatoes – Although I did harvest several of these, the plants themselves appear sickly. 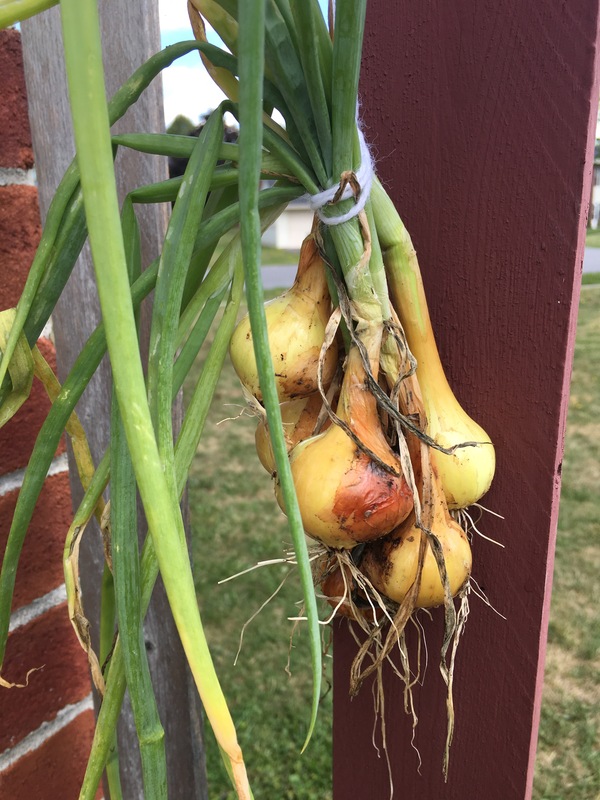 Perhaps I did something wrong, but they were planted in a variety of ways – hanging baskets, self-watering containers, larger non self-watering containers. None of them looked happy or healthy…Not a very attractive or productive plant in my experience. 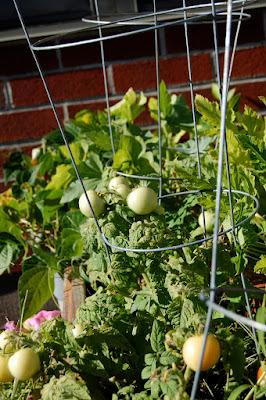 Perhaps they are more susceptible to the blight than the totem tomatoes. Really large carrots – I tried, but they don’t seem to do well in containers. State Half Runner Beans – This is an heirloom variety and is supposed to be part runner and part bush which could be a good next step. 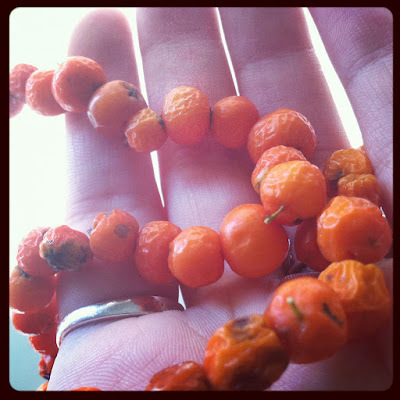 Parisian Carrots – Another heirloom. They’re short and round which may be perfect for a container. Hot Portugal Pepper – Yet another heirloom. Are you seeing a pattern? It’s a hot pepper – something my garden is lacking this year. Red Deer’s Tongue Lettuce – You guessed it – an heirloom! Supposedly, this lettuce is cold and hot tolerant. It’s slow to bolt. Definitely worth a try! Green Deer’s Tongue Lettuce. See above. Cherry Belle Radish – An heirloom. 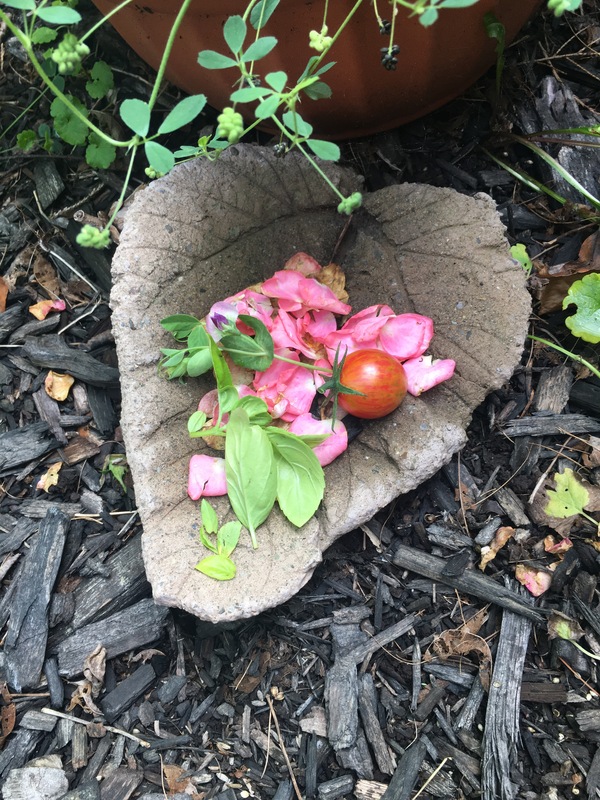 Brandywine Tomatoes – Another heirloom. Not only does it make me think of Lord of the Rings, but this tomato is amazing. It’s huge and delicious. I grew this for two years before taking a break to try new things this year. I really miss it. Martino’s Roma Tomato – An heirloom paste tomato. I’m ready to get into the world of sauce! There will probably be more on my wish list. It grows each year. And of course, this list doesn’t include all the herbs, dyes, and spellcraft plants I plan on! What are you harvesting this season? What do you dream of planting in the spring? *Found in Mara Freeman’s Kindling the Celtic Spirit, page 261.